These quotes are, respectively, not really true, true, actually not, and who’s to say. Tidbits gleaned from here and there follow. The word “impromptu” means improvised, done without planning, or unrehearsed. It comes from Latin, in promptu, in readiness. Merriam-Webster dates the word’s first appearance to 1683. 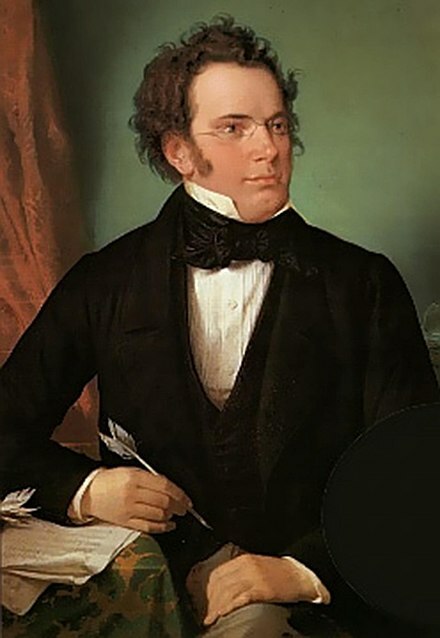 Franz Schubert, 1797–1828, Austrian composer of instrumental music, stage works, church music, Lieder and art songs. Portrait by Wilhelm August Rieder, 1875, from a Schubert self-portrait, 1825. And, in fact, in music, an impromptu is a composition suggesting improvisation. This, apparently, is more difficult than it sounds, thus making Schubert’s piano pieces all the more wondrous. You can hear his Impromptu No. 4 played by Artur Rubenstein at YouTube. 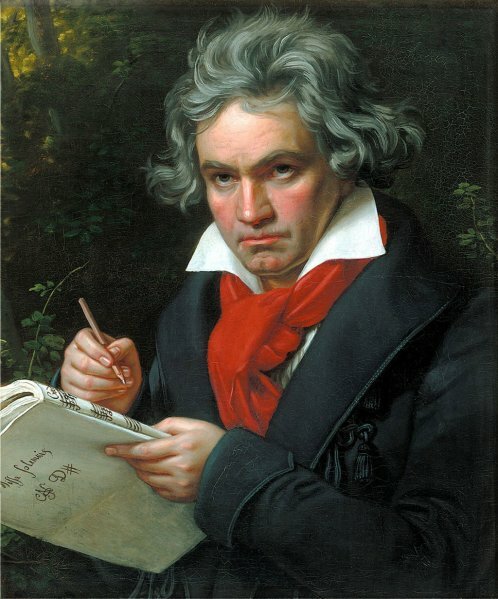 Ludwig van Beethoven, 1770–1827, German composer and pianist, along with Bach and Brahms, one of Classical’s Three Bs. Beethoven’s Piano Sonata No. 8 is, indeed, commonly known as Sonata Pathétique. The name arose from Beethoven’s publisher, who found the piece replete with tragic sonorities. You can decide here after listening to Daniel Barenboim’s rendering. Pyotr Ilyich Tchaikovsky, 1840–1893, Russian composer in the romantic period. 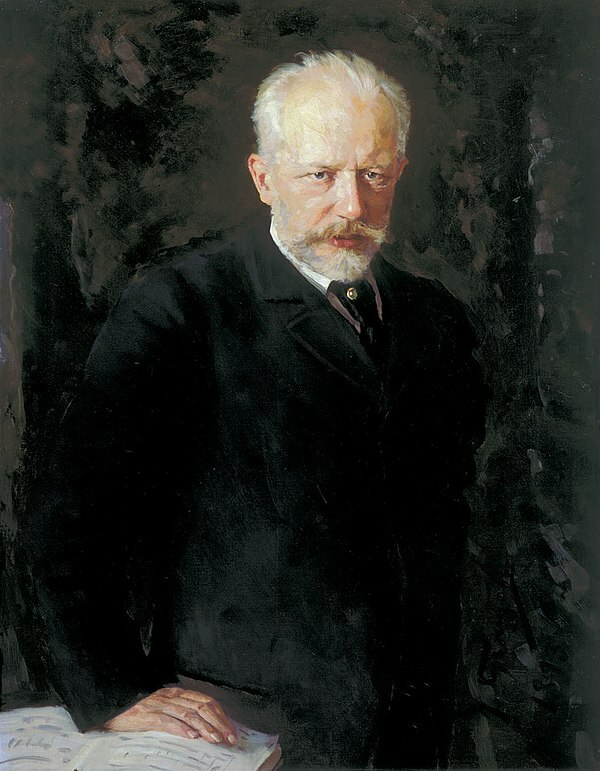 Portrait of Tchaikovsky by Nikolai Kuznetov. By contrast, Tchaikovsky’s Symphony No. 6 being called Pathétique is merely an error in translation. Tchaikovsky entitled this piece Патетическая (Pateticheskaya), Russian for “passionate” or “emotional.” The mistranslation into French Pathétique stuck in countries other than Russia. 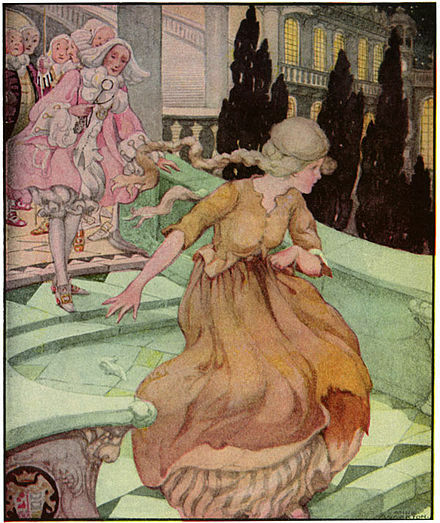 Cinderella Fleeing the Ball, by Anne Anderson. Cinderella’s slipper is rather more contentious. When I was a kid, I had opportunity in Grades Four through Six to learn French sort of total-immersion style. For an hour each school day, a dear, artful, and patient woman of Parisian birth assembled groups of us in a room where utterly no English was permitted, even from the very start. Alas, I’ve forgotten her name, though I’m sure we all called her properly Madame. An annual project with Madame was a play, performed entirely in French, of course. My first year, our play was Cendrillion, and let’s not rhyme this with “ten million.” It’s, sort of, sahn-dree-on, with a properly Parisian nasal “on,” the “n” almost silent. I don’t recall it bringing down the house. According to Wikipedia, Charles Perrault’s 1697 Cendrillion introduced the fairy godmother, the pumpkin, and the slippers of glass to the classic tale. On the other hand, Madame begged to differ. As she told it, en français naturellment, Verre is French for glass. Vair is old French for fur. Cinderella’s slippers were originally fur, which made a lot of sense to me at the time. Snopes has a known anti-fur-footwear bias. Don’t many of us these days…. But is either fur or glass truly recyclable? Dennis, this has been a pet peeve of mine for years. Perrault wrote the original “Les Contes de Cendrillon” in 1697 and indeed, the “pantoufle de vair” is actually a silk (not fur) slipper. The name, Cendrillon, came from the young lady’s hair color, of “cendres” (cinders) as not only shampoo had not yet been invented but most women with blonde hair hardly washed it since bathrooms had also not been invented yet, hence dirty hair can be quite gray. Earlier versions of the tale exist as far back as ancient Greece, but the stories are different enough to clearly qualify the Perrault tale as truly original. The Grimm brothers did not bother to change it much when they pirated it in 1812, and when Cinderella was translated in English, “vair” became “verre’, phonetically identical, and the silk slipper became glass. Who wears glass shoes??? I think that it is grand time to dump Grimm and give full credit where it is due. Agreed. Vive Perrault! A bas Snopes? YES, absolutely, because they now fake independence of thought. 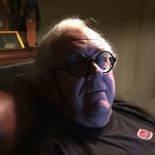 Fact checkers have to be impartial, and frankly it is becoming painfully obvious that they no longer are, which is sad. “Trust but verify” has never been so necessary to keep a clear mind! This entry was posted on November 25, 2017 by simanaitissays in And Furthermore... and tagged Beethovan "Sonata Pathetique", Charles Perrault "Cendrillion", Cinderella/Cendrillion, French language instruction, Schubert "Impromptu" piano pieces, Tchiakovsky "Symphony Pathetique".